This posture opens the hips and helps to develop strength and stamina in the limbs. Virabhadra is an aspect of the Hindu god, Shiva, in his role as a warrior and protector. 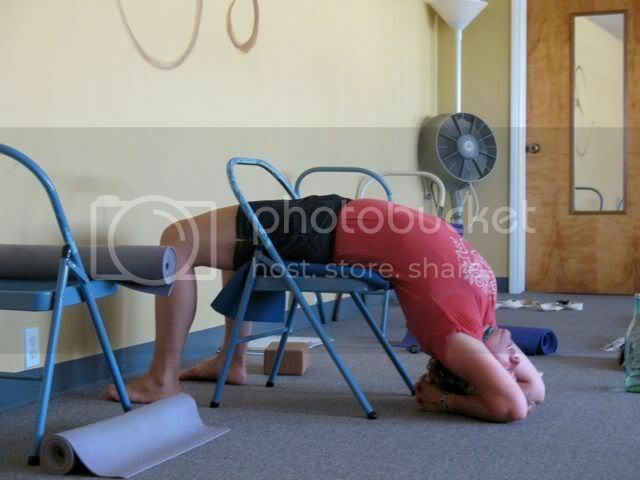 The psychological attitudes developed by this asana are courage and fearlessness. A siddha is one recognized as having developed a high level of control over the mind and body. This intermediate posture requires flexibility in the hips and knees. It provides a stable base for extended periods of pranayama and meditation. Our Teacher Trainees practice palpating the muscles of the shoulder girdle, a fun way to learn the location of various muscle groups. Anatomy course instructor, Dave Garza, demonstrates flexion of the ankle. Dave has an extensive background in a diverse range of massage techniques, martial arts, and yoga. An instructor in the massage schools of San Diego, he is a talented and passionate lecturer. Thank you, Dave, for your insightful and fun Anatomy instruction! The term, karma yoga, implies a realization of the essence of Life by the service to life. Karma yoga is most often defined as selfless service. Great karma yogis include Mother Teresa, Gandhi, His Holiness the Dalai Lama, Ammaji; those who give tirelessly for the benefit of others. At the lay level, those persons who take up the role of parenting and stirve to do it well are, in my opinion, karma yogis! In August our Teacher Trainees participated in a work day at Drikung Kyobpa Choling, a Tibetan Buddhist Meditation Center in Escondido. The director of the center, Drupon Samten Rinpoche, is indeed a karma yogi. With his assistant, Ani Chodron, he has planned and built a beautiful temple almost single handedly. They are currently expanding the Center to accommodate more functions and to serve the increasing Southern California population of Tibetan Buddhist practitioners. On this hot August day we donned our work clothes, hats, and gloves to help organize and create space for the ongoing construction at Drikung Choling. Sweaty and dirty, yes, but so lovely to experience what community energy can accomplish! And as you see by the photos, we had fun as well! Iyengar Yoga as developed by the Indian master, BKS Iyengar, is one of the more structured of the yoga asana systems, with great emphasis on precision. As a teenager Mr. Iyengar learned the basics of yoga asana from his teacher, T. Krishnamacharya. He is a nephew of Krishnamacharya by marriage and lived in the household of his teacher for a number of years. Iyengar later went on to study the asanas in great detail through personal practice, and published one of the first comprehensive books about yoga asana, “Light On Yoga” in the 1970’s. 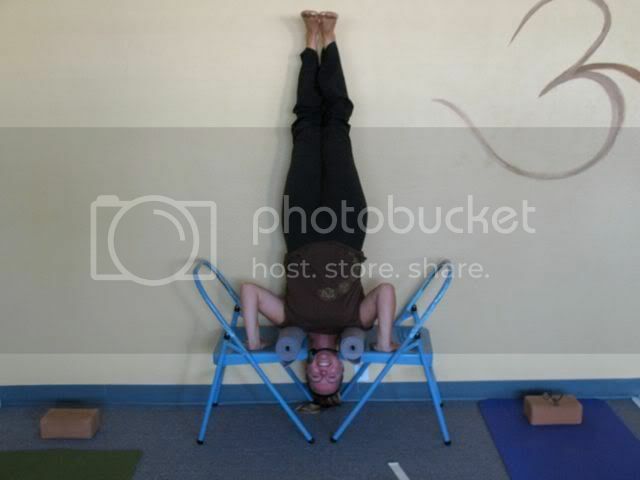 The Iyengar tradition uses equipment (or props) as a way of deepening one`s experience in the yoga postures, as well as making use of props in therapeutic situations. On August 2&3 Yoganic teacher, Kim Kolibri, a certified Iyengar instructor, presented workshops on Iyengar sequencing and use of props. 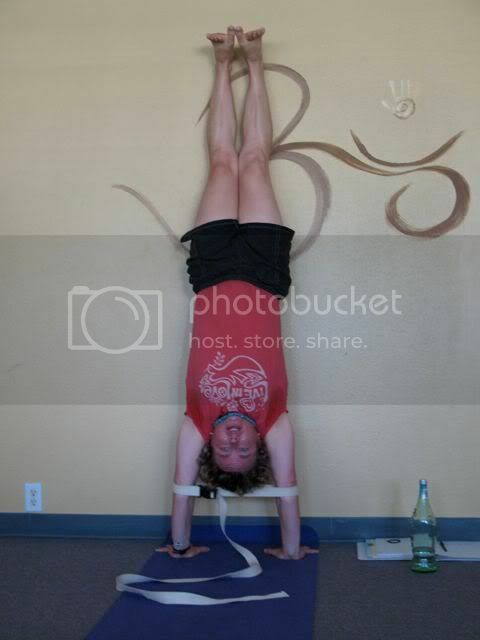 Kim is an especially gifted verbal instructor, inspiring with her understanding and execution of Iyengar’s techniques. In the following photos we have documented some of the work and “play” of our Teacher Training group on this weekend. Click on the photos if you wish a larger view.